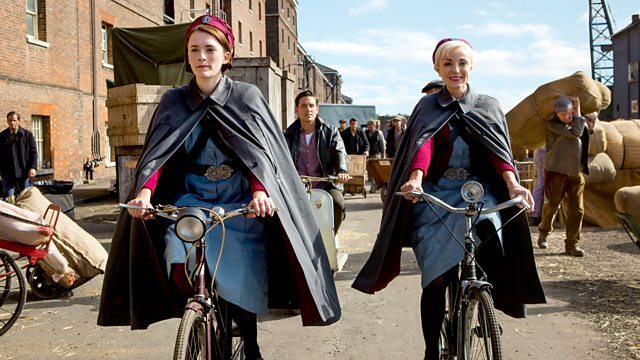 UK viewers closed the book on another gut-wrenching series of Call the Midwife last night. 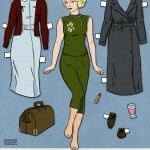 Without exception, the Heidi Thomas creation has to be considered the most fearless series on television. Having dealt with domestic abuse, prostitution, infant mortality, homosexuality, racism, poverty and alcohol addiction, the series tackles its most difficult and/or boldest subject to date when Call the Midwife returns to PBS on Sunday, April 3, 2016 for its fifth and most gripping series yet. It couldn’t come at a better time given America is still reeling over the thought that beginning today, Downton Abbey is no more. While series 5 will, thankfully, have it’s share of lighter moments such as Trixie taking on a side gig running an aerobics class in an attempt to teach the women of Poplar about their bodies, it promises to be one of the most gut-wrenching series to date. Series 5 is made up of equal parts of uplifting AND upsetting story lines all delivered with the sensitivity that audiences have come to expect over the course of the first four series. Several months removed from the Christmas special that ran on both BBC One and PBS over the December holidays, it’s now 1961 in Poplar as series 5 begins with Easter fast-approaching which, basically, means more work and more babies. One such delivery, however, brings with it its own set of shocks as the first video trailer below hints at the devastating effects of Thalidomide, the drug Dr Turner was seen prescribing at the end of series four for a patient’s morning sickness. When the baby is born with severe deformities, the mother refuses to reject her new-born child, the father struggles to come to terms with the harsh realities of his daughter’s problems. Support and intervention from Sister Mary Cynthia, Dr Turner and Shelagh proves invaluable as they try to rebuild this loving family. American audiences watched with tissues in hand last night as ‘change’ swept over Downton Abbey. Known for its practice of never shying away from a difficult subject, the new series of Call the Midwife will not disappoint as ‘change’ will continue to be a major theme of the series for the ladies of Nonnatus House in London’s East End. Call the Midwife 5 returns Sunday, April 3, 2016 on PBS. Call the Midwife 6 will return for a Christmas special later this year and in 2017 on BBC One and PBS.